Silverwood takes pride in the fact that we have something for everyone to enjoy. But to be fair, many people question whether or not their toddlers could be entertained. The answer to that is definitely yes! What’s even better is that children under 3 are free! With that being said, today we are going to share with you the best tips and tricks on how to tackle the park with your toddler. Congratulations! You are already making the right steps to ensure a successful day of fun at the park by doing some research. On our website, we have a list of all rides and what the height requirements are for each of them. All of our rides are based off of a child’s height, not age. Knowing beforehand what your little one can do will save you some time and will help map out your day. If you have some time, enter in your child’s height in our size guide to see all of the attractions they are able to go on. Garfield’s Summer Camp features many low intensity attractions that appeal to most toddlers. Some of our toddler favorites are the Barnstormer, the Carousel, the Flying Elephants, the Kiddie Wheel, and the Red Baron. Children can be so picky when it comes to meal time. Luckily there are plenty of options throughout the park. There is even a kid café in the middle of all the kiddie rides! If you don’t find a place to eat even for the most stubborn 3 year old, then you are able to bring small snacks into the park or bring a sack lunch to eat outside of the park. There are picnic tables over by the RV Park, just make sure to get your hand stamped for re-entry. Walking around a theme park can really tire the little ones out. Luckily, there are strollers available to rent at the Information Center on a first come, first serve basis. Believe it or not there is actually a place designated for toddlers in Boulder Beach. 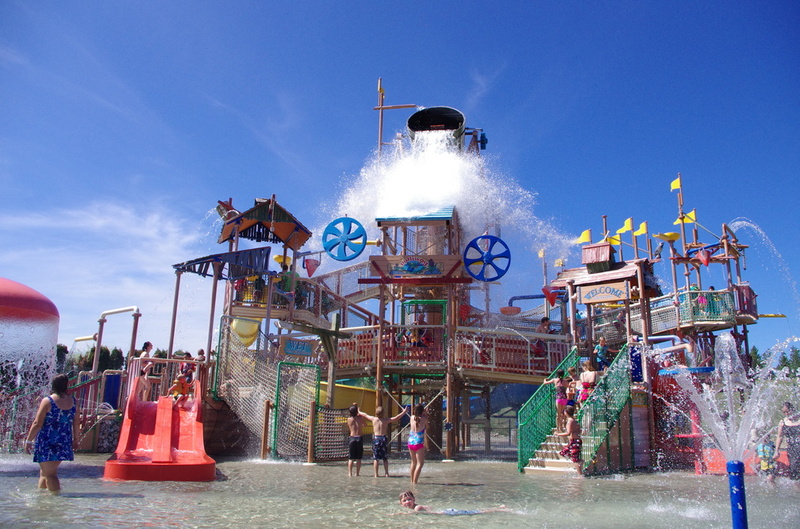 Toddler Springs is located between the second wave pool, and the raft rides. It has various water geysers, waterfalls, and tiny drizzles perfect for the younger members of the family. If you really want to cool down on a hot day, then take your tiny tot over to Polliwog Park in Boulder Beach. There are several tiny slides near the bottom of the structure that are the perfect size for you to splash down with your toddler. Or they can just sit in the shallow water and splash their cares away. Even though you probably won’t be leaving the little ones unattended, it is nice to feel that they are safe at all times. In Boulder Beach, there are life jackets that are free to use at a first come, first serve basis. There are various sizes and colors to choose from, and they are usually laying around the wave pools. We recommend picking one up right when the water park opens at 11 because they go fast. Guests are also able to bring their own life jackets as long as they are US Coast Guard certified. Many parents contact us with questions regarding riding policies. Below are some scenarios in which you might come across with small children, and how to handle them. A. Two parents want to ride an attraction but they have a child that is too short to ride. Both parents should wait in line with the child. Parent 1 rides the ride while Parent 2 waits with the child in the line. After Parent 1 has ridden, Parent 2 rides while Parent 1 waits with the child in the exit. B. Two parents both want to ride an attraction but have a child that is unable to wait in line for a stroller or any other reason. Parent 1 waits in the line while Parent 2 waits at the ride exit with the child. After Parent 1 has ridden, Parent 2 rides while Parent 1 waits at the ride exit with the child. The parent waiting needs to communicate with the ride operator to inform them of the situation. C. A parent has two children that both want to ride an attraction but each child is required to have an adult. After child 1 has rode the ride, child 2 may ride with the parent with child 1 waits with a non-riding family member. Inform the ride operator so that we are able to assist in this process. Something that every family member will enjoy are our award-winning shows! 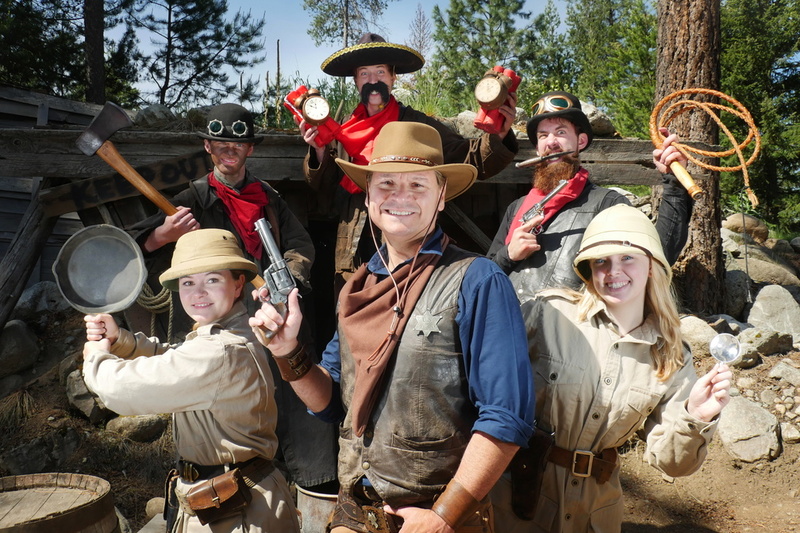 Your toddler will love watching Marshall Jack capture bandits on the train, or guessing how Magician Nick Norton made someone disappear! Getting to these shows early is essential in order to get the best seat possible. Spending the day at the park with your toddler will be a memorable experience, and the best way to capture that special day is to take a picture with Garfield. This year, Garfield has a new home inside the Toy Store and will be available to take pictures. The best part is that Garfield will be there to greet your little one with a big smile. Toddlers can run out of steam real fast. A solution to this could be trying to visit the park in two days instead of trying to fit everything into one. If this sounds like it could be the right fit for your family, then you might want to purchase the two day, any day ticket. 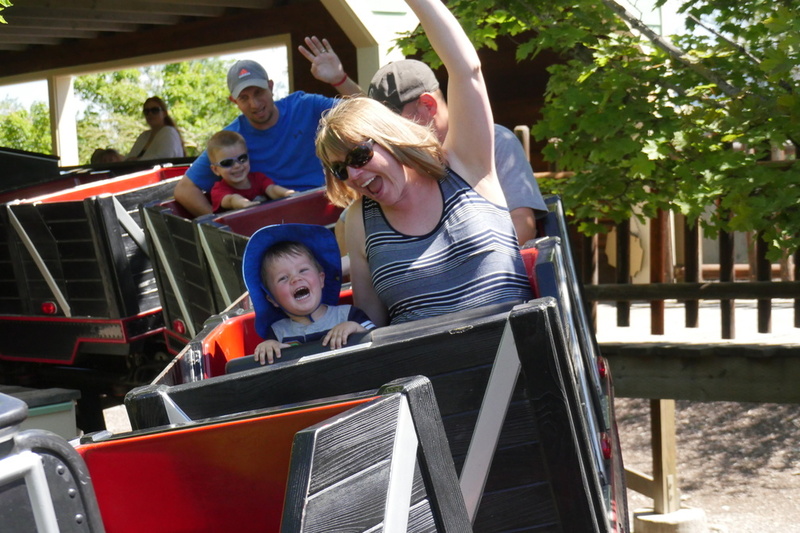 This ticket doesn’t have to be used consecutively and can be used any time during Silverwood’s operating season. As you can see, there is plenty to do and see with Toddlers at the park. If you have any additional tips, tricks, or advice for other parents please leave a comment below. As always, we are looking forward to seeing you this summer and we hope that you have a blast during your visit with us!